I have two seersucker pieces, a pair of pants and shorts and they're so perfect for summer. Stella McCartney's Spring RTW 2012 collection showcases a lot of Hawaiian prints, bright colours, black n' white, houndstooth and a lot of seersucker. The origin of the word and material can be traced to India (derived from Hindi's sīrsakar which in turn comes from the Persian word: shīroshakar = milk + sugar) and was worn by the British in India during the hot climates. 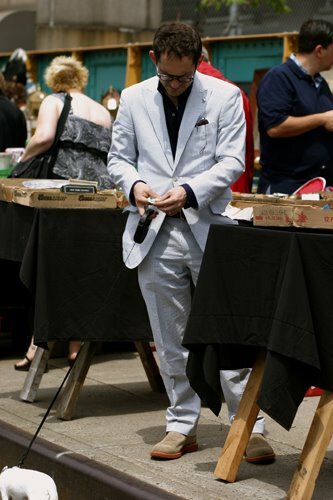 It later made it's way to the U.S in the form of suits for Southern gentlemen. So maybe something seersucker-y for Dad on Father's Day? 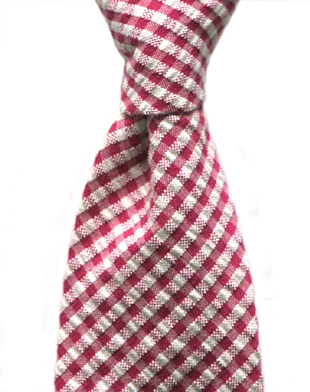 I love these gorgeous and hand-made Alexander Olch seersucker ties. 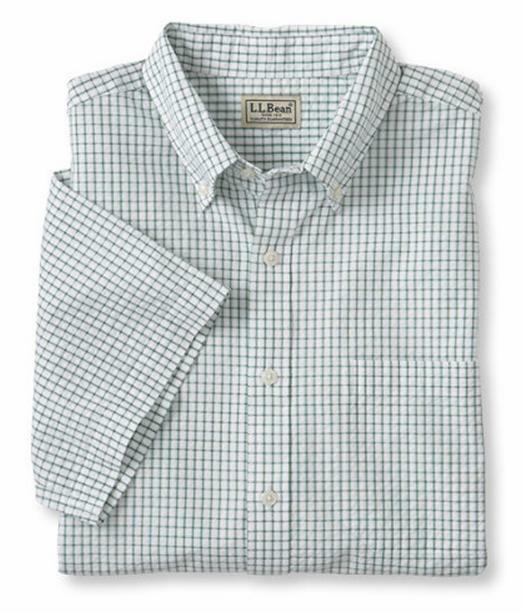 Great seersucker and gingham short sleeved shirt. 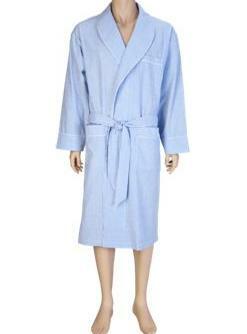 Perfect for the summer, a seersucker bathrobe! 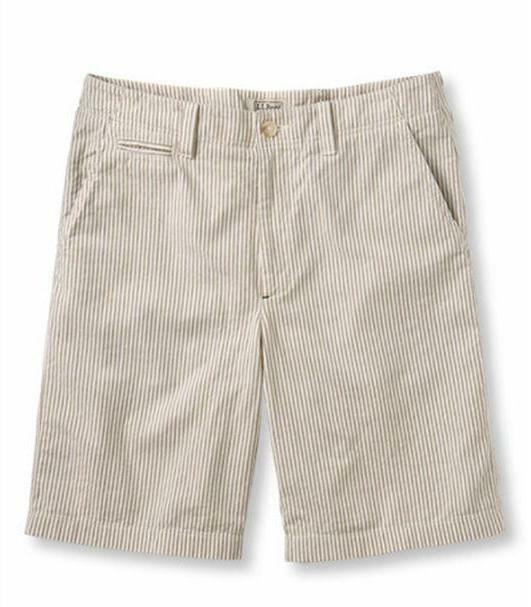 Summer weekend shorts from L.L.Bean.